After a week highlighted by performances at the Tates Creek All-Comers, GRC Heavy Metal Throwdown Invitational, and North Oldham Invitational we break down who the top individual athletes in the state are currently. A few athletes shot up the leaderboards and some fell. Take a look at who made the cut in this weeks edition of Power Rankings. After not appearing on this list last week having not run yet this outdoor season, Langston Jackson rightfully takes over the top spot this week. Last week at the Tates Creek All Comers he showed everyone why he should be #1running state leading times in both the 100 (PR) and 200m dash at 10.44 and 21.27. Those times place Jackson 16th nationally in the 100m and 18th nationally in the 200m. Our #2 runner is another who made a big jump this week. 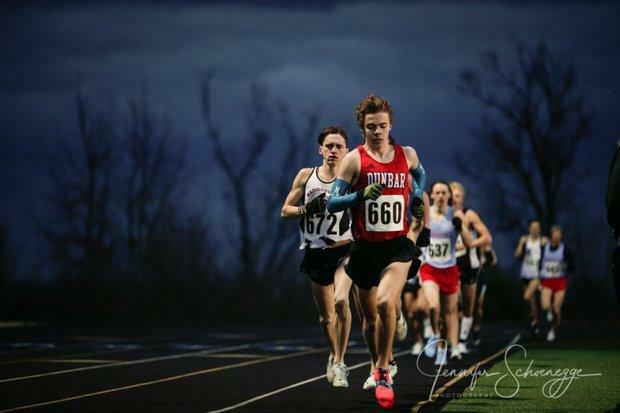 Austin, last weeks #9 had previously only run a 15:04 5k which although it did place him 16th nationally, it was hard to put him up in a top spot only running one race the whole season. This week however, Austin showed us what we all expected, that he's definitely not just a one trick pony. At the Tates Creek All Comers, he raced into the top spot in the state for 1600 with a 4:15.44. This mark also placed him 20th in the country over 1600m, so its hard to say Mathews wasn't deserving of this spot on our list. The #3 spot is where it gets tough, however, we think that last weeks #1 deserves this spot for his ability to run top 4 times across each distance event. Christian's fastest times are all interestingly still from the Invitational of the South two weeks ago aside from his 2nd place finish at the 5k KYtrackxc Showdown. Since last weeks rankings, Parker has however been shuffled down the leaderboards, but not enough to not declare him one of the best in the state. Vasean Green drops down one spot this week being leapfrogged by Mathews and Jackson, however don't let that fool you. Green is the most dominant hurdler in Kentucky and he just keeps getting better! 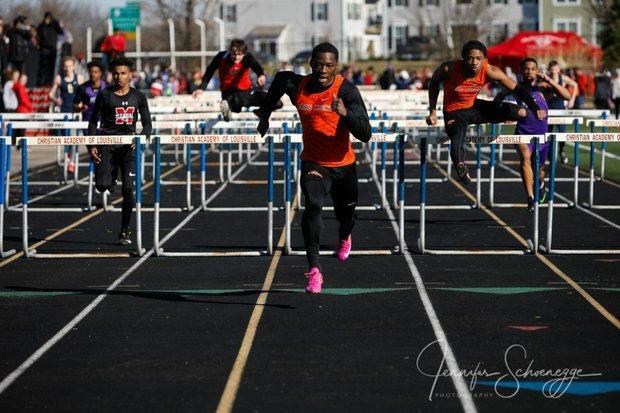 This past week at the North Oldham Invitational he lowered both his 110mH state leading time to 14.60 and 300mH time to 39.25. We'll see if he can continue knocking off his PR's throughout this outdoor season. 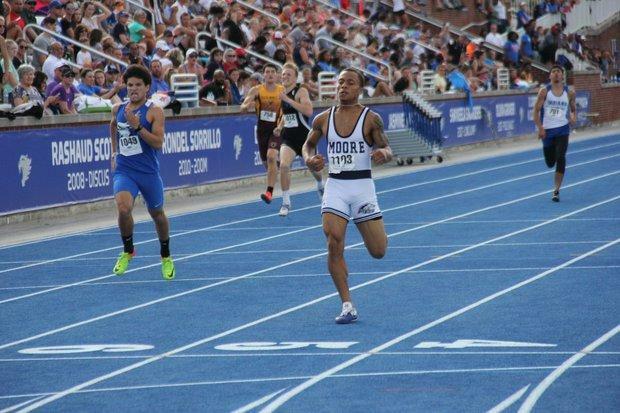 Although Richard doesn't appear until the 5th spot after a 21.71 200m PR this past week at the North Oldham Invitational, he is still the second best straight sprinter in the state with his 100m time only behind #1 on this list, Langston Jackson. Keep an eye out for another Ninamou vs. Jackson race (possibly Eastern Relays) because it could get very exciting. 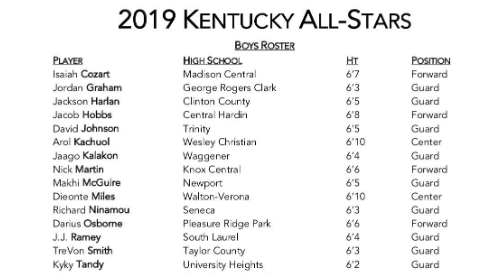 Side Note: Ninamou was also named to the Kentucky All Star basketball roster this past week, see for yourself. Grady is another athlete who made the jump from not being ranked last week. 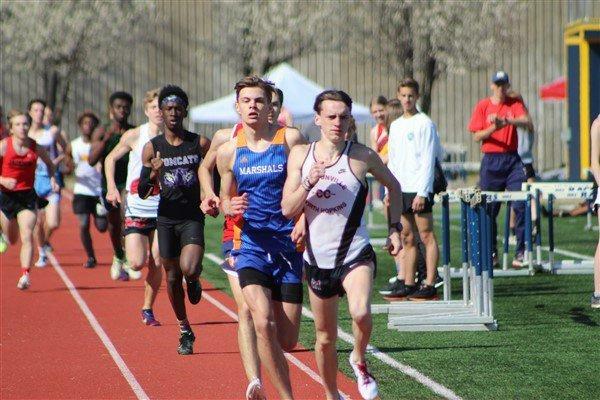 The St. Xavier senior and University of Alabama commit previously held the #1 800m time in the state with his 1:56.93 at the Fern Creek Sprint Relays, but it was determined that wasn't enough to land Shiflet on the list. After his 4:25 state #2 at the GRC Heavy Metal Throwdown last weekend though, I think it can be well agreed upon that he deserves to be here in some form or fashion. Simlilar to both Langston Jackson and Vasean green on this list, Rayne Jones-Foster earned his spot by leading the state in two different events, the triple jump and long jump. Jones-Foster has held on to the top spot in both events for quite some time now and doesn't look to be slowing down any. His state leading marks include a 23-0.5 in Long Jump and 45-5 in the Triple. Week after week Josiah keeps showing us his dominance in the 400m dash. 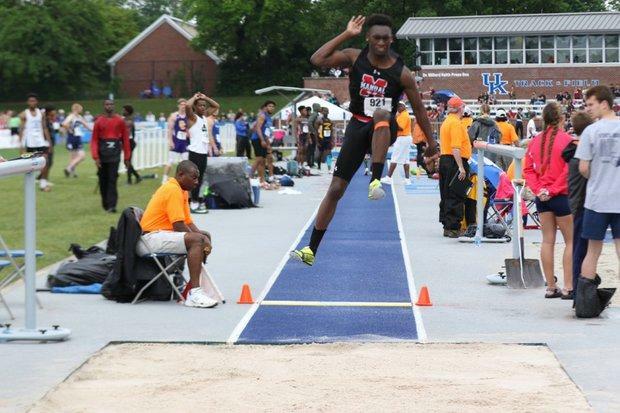 This past week at the North Oldham invitational, Taylor dropped a 48.96 to lower his state lead in the event. Taylor is off to an extremely hot start to the season showing the most consistency so far in the results. We'll see if he can continue to drop some quick times and maybe even break into the 47's at some point this season after running a 48.12 at the UK High School Invitational indoors. Nathan is another dominant athlete in his event, discus, with a strong ability to compete with the best in shot put as well. 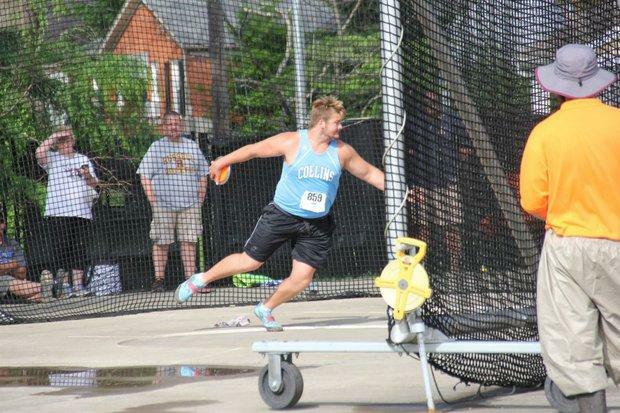 He set a school record in the discus at The OC Kick-Off Classic a few weeks ago and hasn't let go since. His throw of 167-4 in discus ranks 1st in Kentucky as well as his Shot put of 49-8 slotting him into the 5th spot in the state. 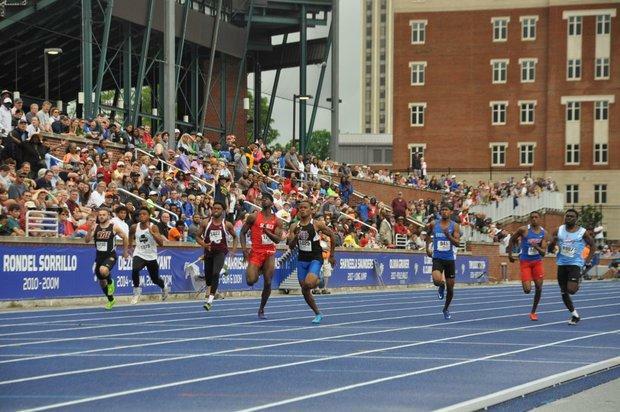 The 10th spot is always the hardest to determine, so why not give it to multiple athletes. 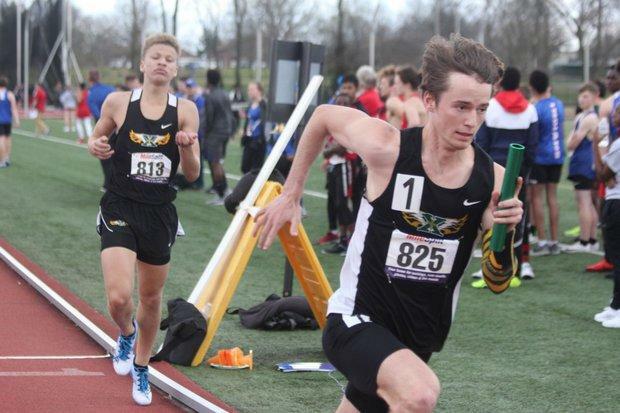 St. X relays have been stellar thus far into the season running the fastest 4x100 and 4x400 in the state with an 8:31.18 in the 4x800 which is 3rd fastest. As mentioned in the Louisville and Surrounding Counties Super Regional recap, the Tigers are looking to make a legitimate run at the team title this year and more strong relay performances like these will certainly help their case.